There's a saying that says, "iPhones don't come cheap". Yeah, purchasing an iPhone will cost you.... but the craze for it shouldn't make you trade your kidney for it!! 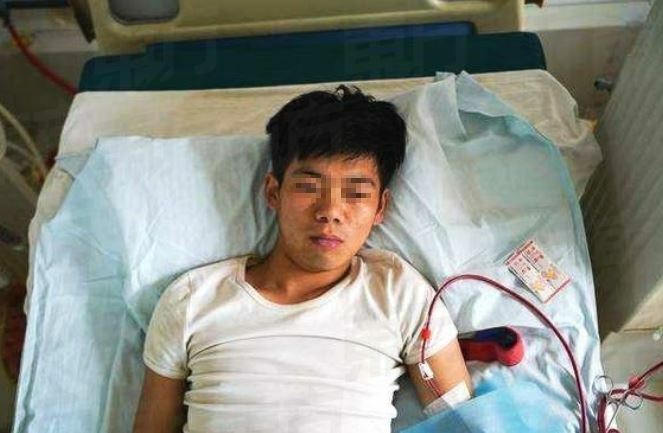 A young man in China has been bedridden for life 7 years after selling his kidney in order for him to buy an iPhone. According Chinese media Oriental Daily, Xiao Wang, now 24, sold one of his kidney when he was 17-year-old to enable him purchase iPhone 4 which had become a status symbol in his school at that time. iPhone at Wang's school was seen as a must have item among students. Infact, whichever student that owned that piece of Apple's gadget was considered more "atas" than other students. The report says Wang sold his kidney for 22,000 Yuan ($3,200) which was more than enough for him to purchase the iPhone 4. The operation was performed by an underground hospital who told Wang that after a week of recovery, he would be able to live a normal life with the single kidney. "Unfortunately, the operating environment wasn't sanitized properly, which led to an infection on his wound," the report said. To make it worst, his parents never knew of his operation and only became aware when the teen had become terribly ill from the infection. By the time Wang sought for proper treatment at a standard hospital, the situation of his kidney had already gotten worse. Xiao's family soon become plunged in financial crises due to the expenses of Xiao's dialysis treatment. The expenses here isn't the problem... the bad news is that no matter the money spend on Xiao, his health will never improve. He will remain that way for the rest of his days. The report says both the arbitrator and the illegal hospital who performed the surgery have been brought to book, and Xiao's family have been well compensated in monetary form.